The Financial Times has named Belfast as the most business-friendly small city. Belfast has been ranked number one in a list of 10 small to mid-sized world cities for business friendliness in the report by fDi Intelligence, a service which is run by the FT. Ranking behind Zurich in Switzerland, Belfast is also ranked number two for its overall receptiveness in attracting overseas investment. 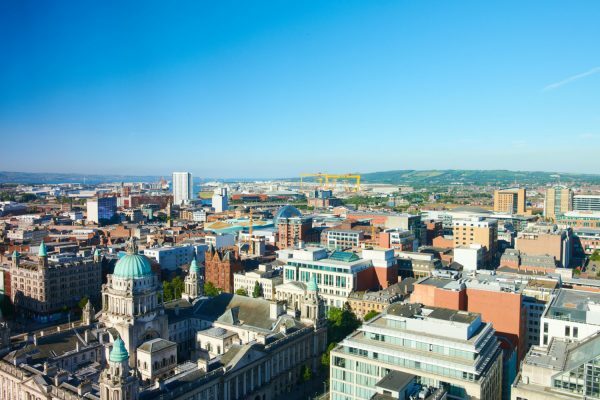 The efforts of Invest NI appear to have helped Belfast leapfrog New York and Frankfurt to be recognised for its strategy in attracting foreign direct investment. Invest NI’s offices in Europe, the Americas, the Middle East and Asia-Pacific were acknowledged in the report from fDi Intelligence. Recent successes in attracting inward investment includes global outfit PA Consulting‘s announcement of 400 new jobs and US-based cybersecurity firm Imperva announcing 220 jobs for the city earlier this month. Cork native Darragh McCarthy announced an Invest NI-backed plan in June to create 605 jobs over the next five years in Belfast and Londonderry for his company FinTrU. The FT service acknowledged the £100m of office space developed since 2015, with a further £100m currently under construction as well as recent web innovations, set up to aid development. Executive director for international business at Invest NI, Steve Harper, said: “Northern Ireland continues to attract global businesses and over the past five years has created more jobs from inward investment than any other region in the UK on a per capita basis. Check out our expert advice on job hunting, CVs and applications, interviews and much more.